All careers start somewhere. 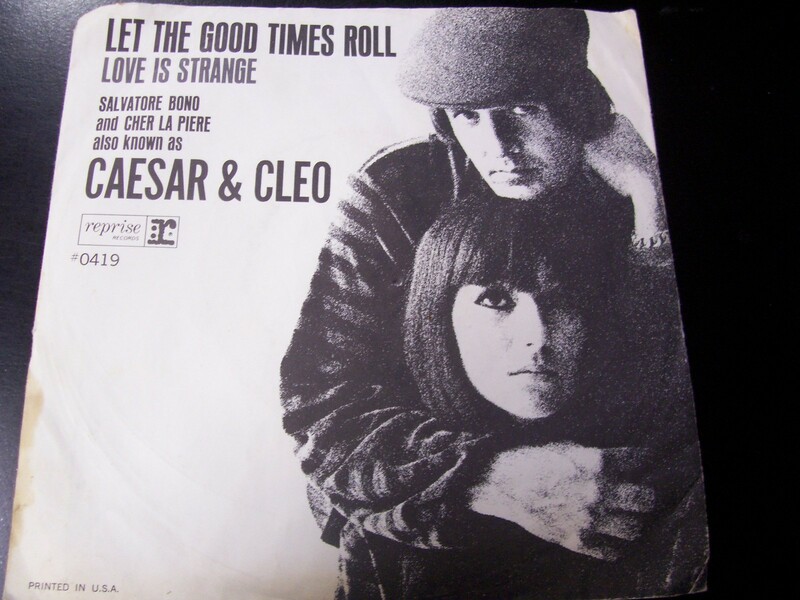 For Sonny & Cher, it was in 1963 when they released “Let The Good Times Roll” on the small Vault Label. It was later picked up by the Reprise label but neither received any chart action. Two years later their first chart single hit the jack pot when “I Got You Babe” topped the BILBOARD MAGAZINE Hot 100. And so, “Let The Good Times Roll” was lost to music history – almost. Elvis Presley had burst upon the American music scene during early 1956 with his huge hit single, “Heartbreak Hotel.” That was just a warm-up for the biggest hit single of his career. “Don’t Be Cruel/Hound Dog” was a two-sided hit that was not only the number one single of the 1950s but it would be the biggest chart single until 1992. Biggest Sellers In Stores Chart – 7/18/56 – 11 weeks at number one. Most Played By Disc Jockeys Chart – 9/8/56 – 8 weeks at number one. Most Played In Jukeboxes Chart – 9/1/56 – 11 weeks at number one. Billboard Top 100 Chart – 9/15/57 – 6 weeks at number one. Both songs were recorded July 2, 1956. It took 28 takes to get “Don’t Be Cruel” right and 31 for “Hound Dog.” They remain two of Elvis’ most recognizable hits. The Platters were formed in 1953. Their most famous line-up consisted of Tony Williams, Paul Robi, Herb Reed, David Lynch, and Zola Taylor. They were one of the most successful vocal groups of the rock and roll era placing 40 singles on the BILLBOARD MAGAZINE Hot 100 Pop Singles Chart. Their sound bridged the gap between the early 1950s and the rock era. They were a classic vocal group. They may have been black but their sound resonated with the mainstream white audiance. “My Prayer” was a number two hit for Glenn Miller in 1939. There version was released during the summer of 1956 and topped all four BILLBOAED Singles Charts in addition to the Rhythm & Blues Chart. Most Played By Disc Jockeys Chart – 7/18/56 – 3 weeks at number one. Most Played In Jukeboxes Chart – 7/25/56 = 1 week at number one. Hot 100 Chart – 7/18/56 – 4 weeks at number one. Tony Williams lead vocal just soared over the harmonies. It was their second of four number one hits. The Fifth Dimension may have been a black vocal group but many of their biggest hits came very close to pure pop. Marilyn McCoo, Billy Davis Jr, Florence LaRue, Lamont McLemore, and Ron Towson came together in 1966 and during the next ten years had 30 singles chart on the BILLBOARD MAGAZINE Hot 100 Pop Singles Chart. 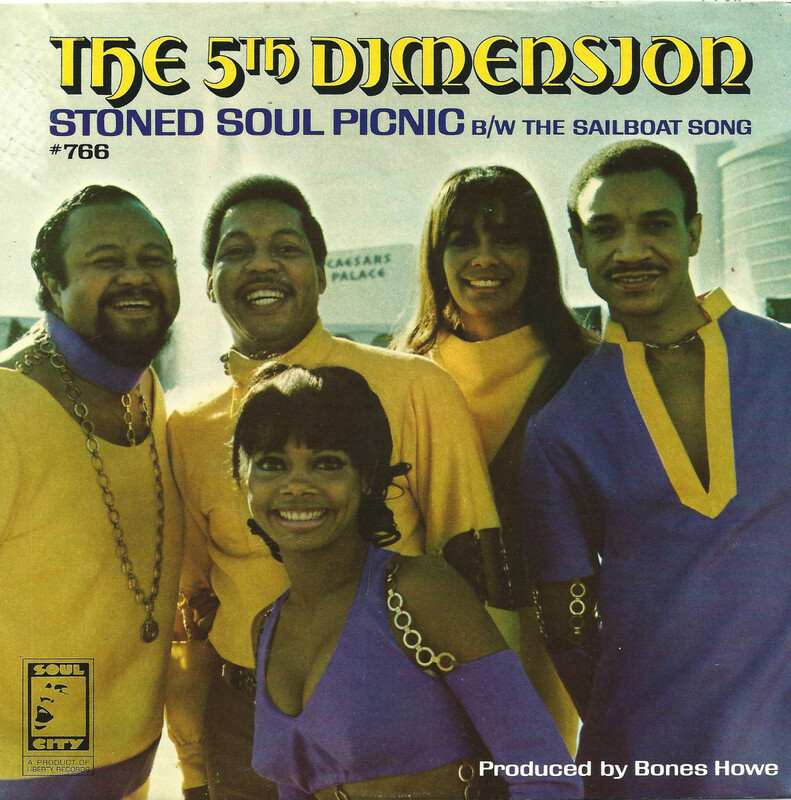 “Stoned Soul Picnic” was released during the late spring of 1968. It was a breezy pop number and peaked at number three on the Hot 100. It helped tp solidify their reputation as one of the leading pop groups of the second half of the 1960s. Richard Thompson was an important part of the original Fairport Convention during the late 1960s and early 1970s. Their fusion of electric folk and rock resulted in some of the most creative music of the era and established a new sound in British music. After leaving the band in 1971, he produced a series of brilliant albums with his then wife, Linda, for the next decade. Since 1983 he has been issuing solo albums that have continued to explore his unique brand of folk and rock. His latest album, Electric, was released February 11th. It comes as both a regular and deluxe CD. There is also a vinyl version if you are so inclined. The deluxe edition contains an extra disc of material and is the recommended version. If there is one thing that has been consistent throughout his career, it is his ability to play the guitar. Whether it is an acoustic or electric guitar, his sound is unique and immediately identifiable. While there as some guests, he keeps the music simple. His chief support is drummer Michael Jerome and bassist Taras Prodaniuk, who also provide the background vocals. This simple rhythm section keeps the focus on Thompson and he shines throughout the release. Tracks such as “Stony Ground,” “Sally B,” “Stuck on the Treadmill,” “Good Things Happen to Bad People,” and “Straight and Narrow” are a guitar lover’s delight. The solos may be a little short at times, but the songs are structured so they can be extended or used as a jumping off place for some improvisation when performed on stage. His lyrics are not the most upbeat as they are moody and explore such topics as financial problem, relationships, and the ills of life. They are always incisive as he examines the world around him. At times his stories are enhanced by his wry wit. A track that runs counterpoint to what surrounds it is “The Snow Goose.” It is an acoustic piece that features some vocals by Alison Krauss. The second disc may not have the cohesive excellence of the first, but “Will You Dance Charlie Boy,” “I Found a Stray,” and “The Rival” are melodic and rootsy and would have fit in fine on the first disc. Richard Thompson’s career is well into its fifth decade. Electric proves that his creative juices are still flowing and his technical ability remains intact. Electric is a must for fans and a fine introduction for anyone not familiar with his music. Article first published as Music Review: Richard Thompson – Electric on Blogcritics. During the late 1960s, 1966-1969, The Happenings placed nine singles on the BILLBOARD MAGAZINE Hot 100. They were very similar to the Four Seasons. Bob Miranda’s lead falsetto was backed by the tight harmonies of the other singers. While their biggest hits, “See You In September” and “Go Away Little Girl” were smooth pop pieces. “Goodnight My Love,” on the other hand, had an odd beat to the song’s structure. Released during late September of 1966, it stalled at number 51 on the Hot 100. 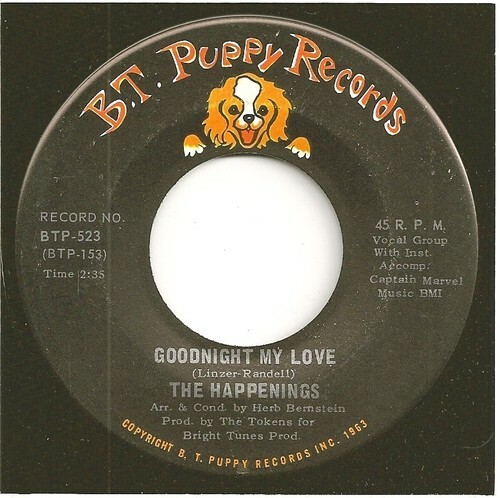 Bob Miranda is still touring with The Happenings even though the hits stopped in 1969. You are currently browsing the Muskmellon's Blog blog archives for February, 2013.